Spring 2011: Chocolate or Carob? It’s a rare person who hasn’t tasted and enjoyed chocolate. Not so common is a person who’s been exposed to carob, the best-known chocolate substitute. After all, why would we want an alternative to something that tastes so good? As it turns out, there are plenty of reasons to expel chocolate from our diets. Let’s talk chemicals first. Chocolate comes from a seed—a cocoa bean. All cocoa, from which chocolate is made, contains tannin. Among its ill effects, tannin interferes with the release of digestive enzymes, which leads to indigestion. It also is a dehydrator, leading to constipation and dry skin. Theobromine, the primary chemical in chocolate, can cause headaches, central nervous system irritation, sleeplessness, itching, depression, and anxiety. It is not to be dismissed lightly. The caffeine in cocoa acts similarly to a narcotic, leading to addiction. It gives a quick chemical “lift” to the mental processes, but always ends in lower mental alertness than before ingestion. Methylxanthines, of which caffeine and theobromine are two, are linked to increase cell growth in certain glandular tissues. They interfere with enzyme signals, which can result in uncontrolled cell growth: the development of cysts and benign tumors, especially in the breast. Fortunately, we can usually stop these growths by abstaining from the methylxanthines. 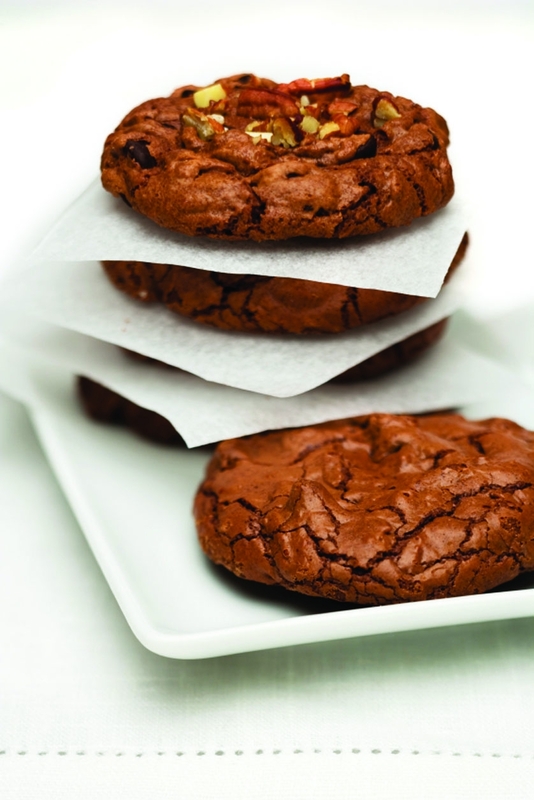 Such was the case with a woman who says that her addiction to chocolate resulted in fibrocystic breast disease. It took only a month or two after denying her chocolate cravings for the cysts to disappear. The same is true for me. My breast fibroids disappeared after I stopped drinking tea. In fact, women are advised to discontinue the use of coffee, tea, colas, chocolate, and all forms of or products containing methylxanthines as a breast-cancer control measure. Many physicians believe methylxathines have the same effect on the male prostate as on the female breast. Carob, in favorable contrast, is worry-free. It contains no tannin, no theobromine, no caffeine, and no methylxanthines. The cocoa bean actually has a bitter flavor—a hint of which can be discerned just in the difference between light and dark chocolate. The bitterness necessitates additives such as refined sugar. Also, the slight grainy texture of the ground bean is masked with oils, milk, or cream. As fat comprises 50% of the calories of the bean, the end product sold on grocery shelves is a rich, heavy, oily, difficult-to-digest item promoted as a treat or indulgence. Carob has no bitter flavor or grainy texture, so it needs neither sweetening nor smoothers such as oils and milk products. Cocoa beans, the raw product from which all chocolate is made, come from countries where sanitation levels and production standards are low. After the bean pods are cut from the cacao tree, they are piled in a heap to ferment for several days. This fermentation develops the chocolate flavor. The warm, fragrant piles of beans attract insects, rodents, and dogs. A friend reported that during a year in Borneo, she observed and photographed the stages of cocoa pod processing. After the pods are spread on the ground, she said, the “mangy dogs urinate all over them.” Many other kinds of contamination can also occur. During fermentation (decomposition), the temperature within the pile rises. As heat and moisture increase, so does the incidence of molds and bacteria. This is how aflatoxins, cancer-causing agents from the molds, are produced in the cocoa beans. Carob requires no fermentation to develop its flavor. Due to the harvesting and fermentation processes described above, chocolate is not a pure product. The US Department of Health, Education and Welfare acknowledges chocolate’s contamination from “insects, rodents and other natural contaminants,” and limits that contamination in two ways. First, the agency requires that visible or solid animal excreta must not exceed ten milligrams per pound, and second, chocolate powder must not have more than seventy-five insect body fragments in three tablespoons of powder. Many individuals thought to be allergic to chocolate may instead be allergic to the animal parts or excrement within the chocolate. Carob causes no known allergic reactions. But what exactly is carob? Carob (Certonia siliqua), grown extensively in the Middle East, produces a long pod which, when ground into powder, tastes much like chocolate. Many people cannot tell the difference; others can discern a difference but they prefer to avoid chocolate and are grateful for a close second. Unlike chocolate, carob is naturally sweet and is three times richer in calcium than chocolate, but with onethird fewer calories and seventeen times less fat. Carob is also a rich source of pectin, the substance which makes jams and jellies “jell.” Recent research indicates that pectin may be helpful in lowering your cholesterol level. 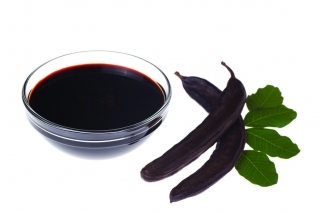 The pectin in the carob is also useful for stopping simple diarrhea. I suggest drinking a tablespoon of carob in a cup of hot or cold water. Carob powder can replace chocolate or cocoa in any recipe. A chocolate baking square equals about three tablespoons of carob powder. Carob powder can also be used as a sugar substitute, since it is almost 50% natural sugar. Use it in bread, waffles, cakes, pies, pancakes, hot or cold cereals, or muffins. If the flavor is too “carob-y,” then use part carob and part other sweetener, such as honey. An interesting historical note is that the city of Pasadena, California, has about 2000 carob trees along its streets and in its parks and schoolyards, and even around City Hall. During the Great Depression, Seventh-day Adventists planted these lovely evergreen trees around and on the grounds of all the public schools in hopes that school children would eat this free, nutritious food, rather than go hungry. Perhaps they did at the time, if they knew about carob’s benefits. But today, the pods are raked into the trash heap, unappreciated, and their benefits unrecognized.